Established in 1845, Old Mutual has grown to become one of the worlds most respected and recognised investment brands.Here in the UK, Old Mutual Wealth oversee £127.3bn in across a range of 68 unit trust and OEIC funds, and are a popular choice for investors and advisers alike. To identify how well their funds have performed we analysed their fund performance figures alongside all other competing same sector funds, rating them based on their performance. 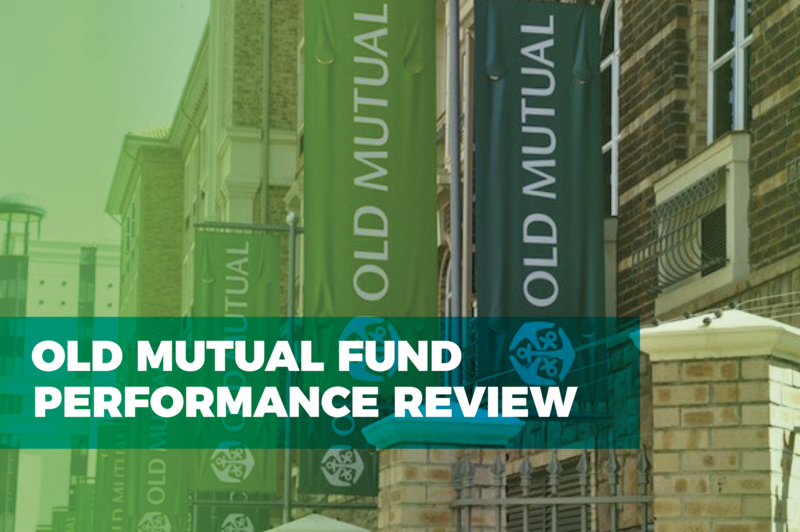 As detailed in this review, a proportion of Old Mutual funds have consistently been among the best performers within highly competitive sectors. As detailed in this review, a proportion of Old Mutual funds have consistently been among the best performers within highly competitive sectors. Our Old Mutual fund performance review identified that 9 of their 68 funds have been rated an excellent ‘5 star’. These funds have returned consistent top class performance for relatively low to moderate levels of volatility compared to competing same sector funds. 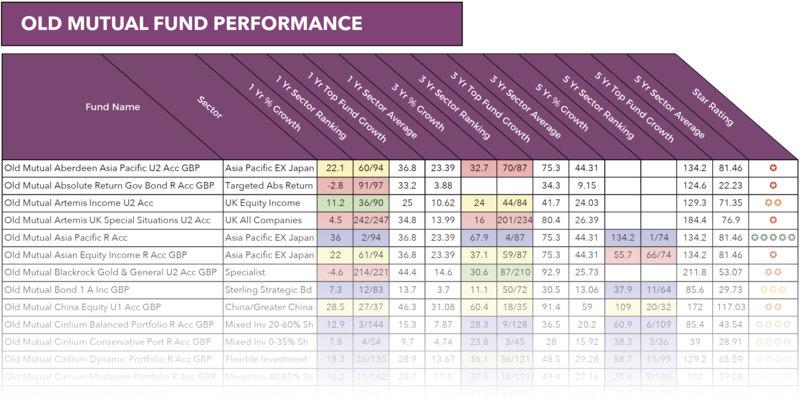 One of the funds to consistently deliver top performance was the ‘Old Mutual UK Mid Cap R Acc’ fund. This fund is 1 of 223 funds in the UK All Companies sector. During the recent 1, 3 & 5 year periods this fund has been the number 1 performer in the entire sector and over 5 years it returned impressive growth of 184.4%. Another excellent ‘5 star’ rated Old Mutual fund is their North American Equity fund. This popular fund sits within the highly competitive and often volatile North America sector alongside 90 other funds with at least 5 year history. Funds within this sector have struggled for consistency and performance but the Old Mutual North American Equity fund has displayed both. Over the recent 1, 3 & 5 year period it has consistently outperformed at least 92% of competing funds and its 5 year growth of 173.8% was the 2nd highest in the entire sector. The full Old Mutual fund performance report is available in the October 2017 edition of the Yodelar magazine. Subscribe today for only £1 to receive full access. In total, 64.7% of the 68 Old Mutual funds reviewed were provided with a poor 1 or 2 star rating. Each of these funds have struggled for performance or lacked consistency in comparison to other funds within the same sectors. Among their worst performers was the ‘Old Mutual Global Best Ideas’ fund. This fund sits within the ‘Global’ sector and over the recent 5 years it has returned growth of 76%. In comparison, the top performing fund in this sector returned growth of 171.5% and the sector average growth was 98.04%. Another fund to disappoint was the ‘Old Mutual Asian Equity Income’ fund. Thiis fund sits within the Asia Pacific Excluding Japan sector along with 73 other funds, which includes the top performing Old Mutual Asia Pacific fund. however, the ‘Old Mutual Asian Equity Income’ fund has not fared so well. During the recent 5 year period this fund returned growth of 55.7%, which was worse than 89% of competing funds and significantly lower than the Old Mutual Asia Pacific fund which returned growth of 134.2% during the same period. Like all fund managers, Old Mutual have a proportion of funds under their management that have not performed to a competitive level. While these funds may lack consistency and performance there are several exceptional funds managed by Old Mutual that have been among the best performers in their entire sectors. These ‘Top’ rated funds have been highly competitive and represent exceptional investment opportunities in competitive markets. With such a large percentage of top performing funds, Old Mutual have also rated 2nd out of 70 fund managers in our most recent league table reinforcing their strength and quality as a fund manager.